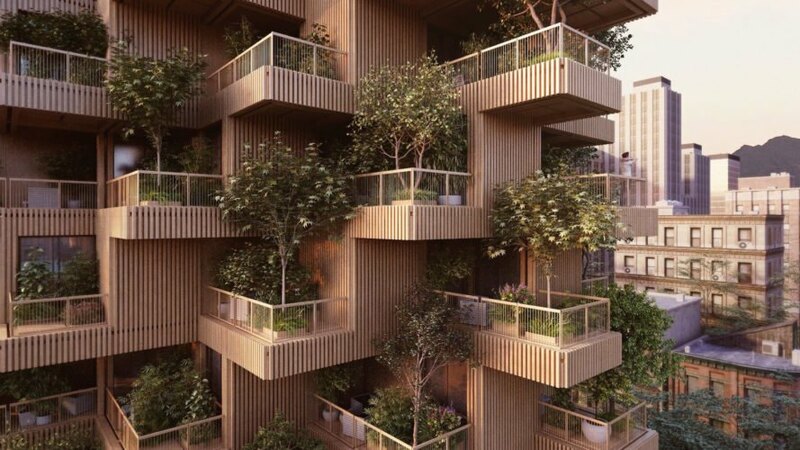 A new kind of “vertical forest” has been envisioned for Toronto where trees would grow on every balcony. 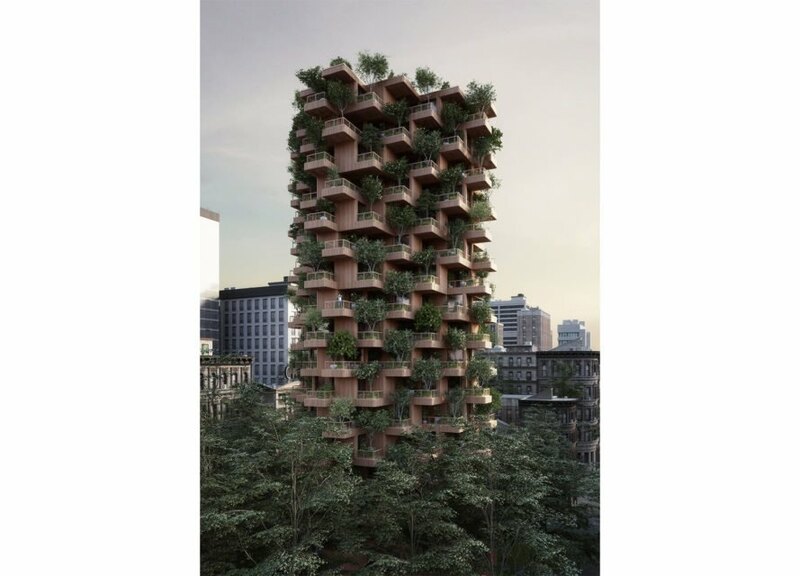 Architecture firm Penda teamed up with Canadian company Timber to design the Toronto Tree Tower, an 18-story mixed-use tower covered in greenery and built of cross-laminated timber. 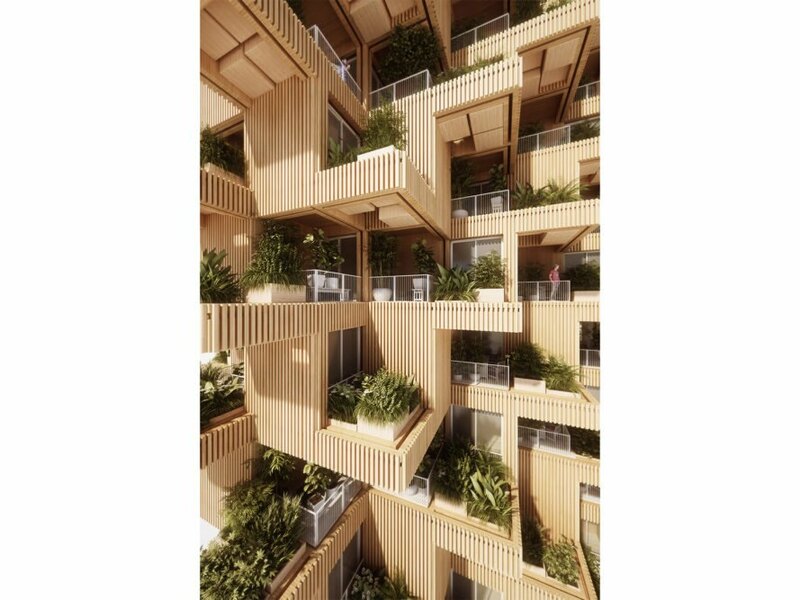 The large and modular balconies are staggered to look like branches of a tree and to optimize views for every resident. 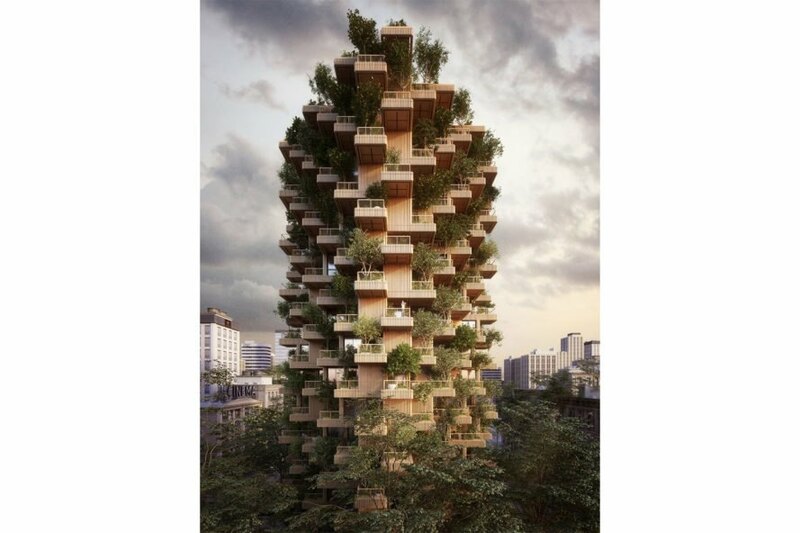 Designed to appear as a giant tree in the city, the Toronto Tree Tower is covered in plants and greenery and clad in wooden facade panels. 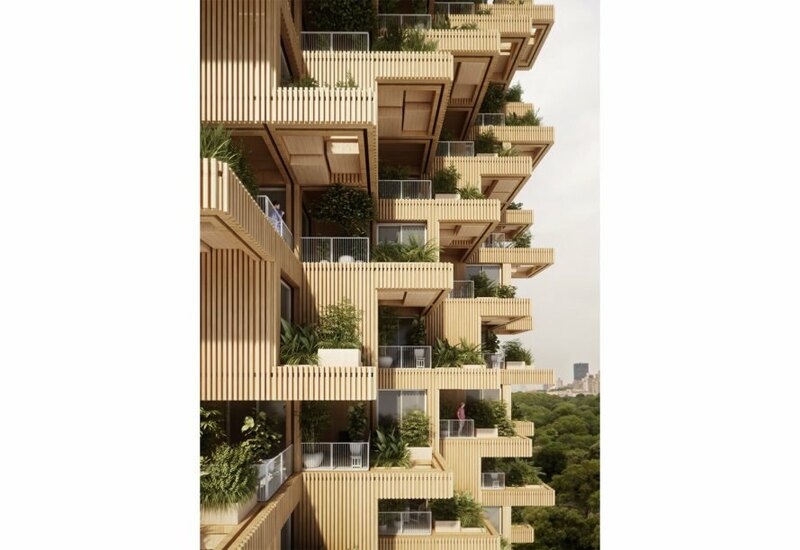 The tower’s modular cross-laminated timber units would be prefabricated and assembled off-site, and then transported and stacked around the building’s trunk-like central core. The building would comprise 4,500 square meters of apartments as well as a cafe, children’s daycare center, and community workshops. What is the fire rating?how earthwuake,tornado and hurricane? 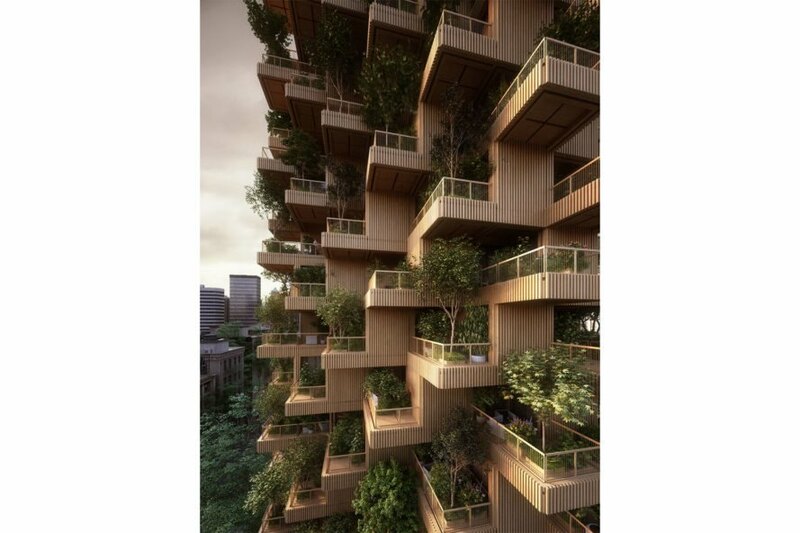 Designed to appear as a giant tree in the city, the Toronto Tree Tower is covered in plants and greenery and clad in wooden facade panels. The tower’s modular cross-laminated timber units would be constructed and assembled off-site, and then transported and stacked around the building’s trunk-like central core. The building would comprise 4,500 square meters of apartments as well as a cafe, children’s daycare center, and community workshops.